Improve the accuracy of your analysis and the dependability of your conclusions with statistics designed for complex relationships. 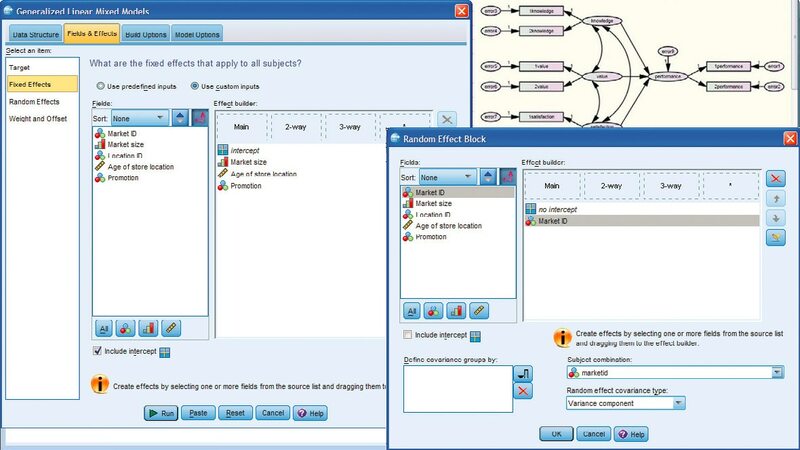 As a module of IBM SPSS Statistics, IBM SPSS Advanced Statistics provides a set of sophisticated univariate and multivariate analytical techniques and models: generalized linear mixed models (GLMM), general linear models (GLM), mixed models procedures, generalized linear models (GENLIN) and generalized estimating equations (GEE) procedures. Gain deeper insights from data to help solve real-world problems in disciplines such as medical research, manufacturing, pharmaceuticals and market research. 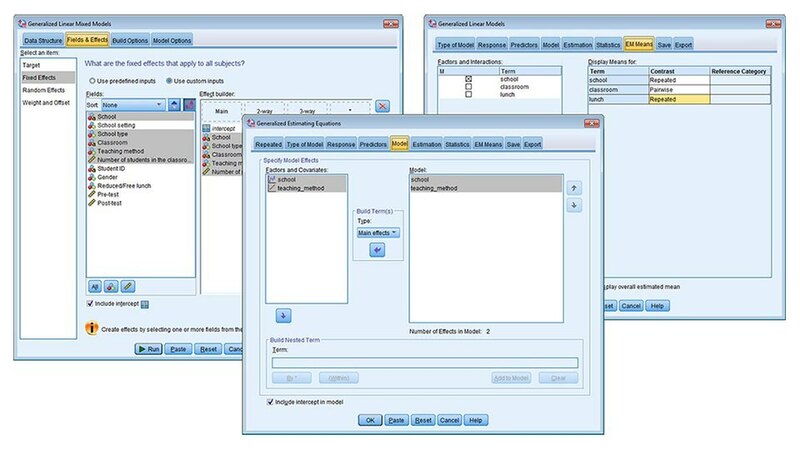 Improve analysis for multiple outcomes or outcomes over time, analyze data with hierarchical structure or estimate length of time until an event. The GLM procedure enables you to describe the relationship between a dependent variable and a set of independent variables. Models include linear regression, ANOVA, ANCOVA, MANOVA and MANCOVA. 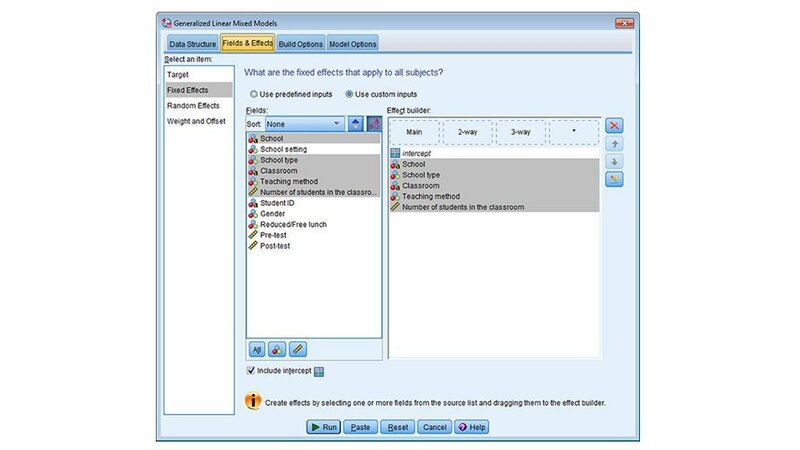 The linear mixed models procedure expands upon the models used in the GLM procedure so that you can analyze data that exhibit correlation and non-constant variability. When your data do not conform to the assumptions required by simpler techniques, apply loglinear and hierarchical loglinear analysis for modeling multiway tables of count data. 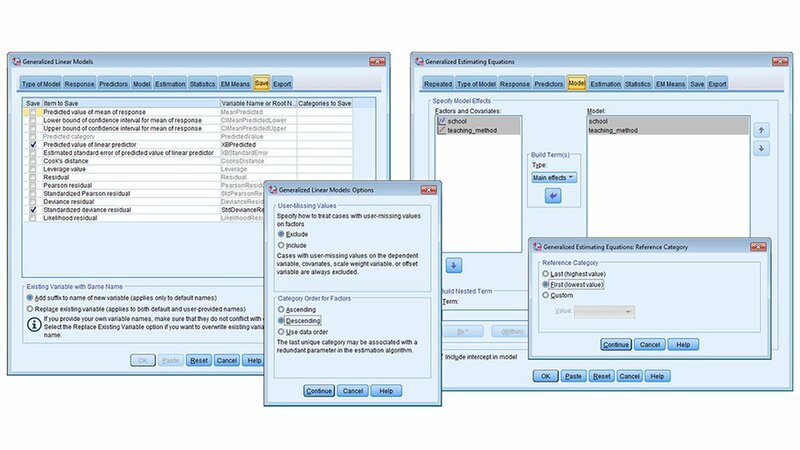 You can examine lifetime or duration data to understand terminal events, such as part failure, death or survival.